Pop quiz: So! How long is it until the start of the 2019 Film Independent Forum? For the correct answer, we’ll accept “A Month,” “Four Weeks” and “Holy crap, it’s almost here, isn’t it? Arghhh!! !” (Which, if your response skews more toward that third option, chill out.) Scheduled for April 26-28 at the new LMU Playa Vista Campus in the heart of Silicon Beach, there’s still plenty of time to prepare, starting with getting your pass for three great days of keynote conversations, incisive industry panels, screening events, networking opportunities and more. Registration is open as we speak. Last week, we took you down memory lane, to revisit some of our favorite moments of Film Independent Forums past. But! The time for rank nostalgia has passed. Today we instead turn our eyes toward the future (four weeks into the future, to be exact) to see what’s currently on tap for Forum 2019—an event literally 18 months in the making, due to a scheduling quirk that kept the much-loved industry event off of Hollywood’s calendar for all of 2018. Things are moving fast, with additional speakers, panels, screenings and other details being confirmed in real time and with a lot of exciting stuff still yet to be announced. So stay tuned for updates. But we do have a ton of great stuff already locked in that we can’t wait to share with you—so we won’t! Below, please find—day-by-day—what we’re currently able to announce in terms of programming, with much more coming soon. Undoubtedly there’s something here already that can help you, and your filmmaking career, level up. Money! How to get it, how to use it. 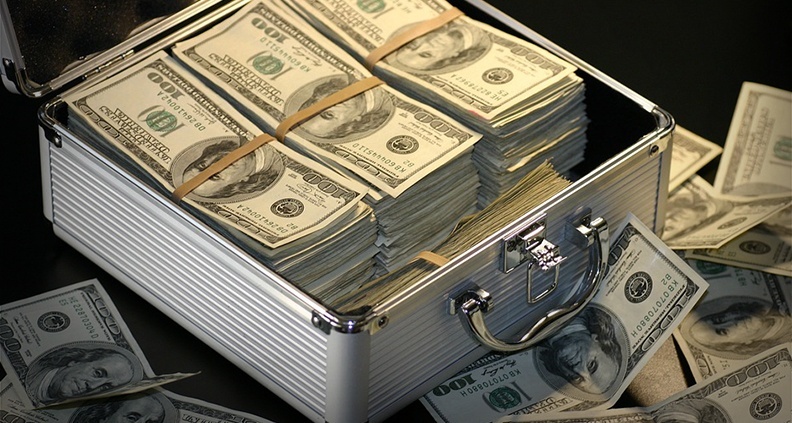 Crunching the Numbers: Independent Film Financing. Can the current marketplace still support artist-driven content? Or are these projects at odds with commercial success? Is there a budget sweet spot that can make a project more attractive to financiers and investors? This detailed assessment of the independent landscape will also examine the different film financing models typically employed by today’s indie producers. With Tom Nunan (Executive Producer, Crash; Founder, Bull’s Eye Entertainment). ho is funding documentary films today and what are they looking for when they invest in, or donate to, a project? A diverse panel of representatives from foundations, niche production companies and nonprofits will explain how to apply for funding your project and what you’re expected to deliver in order to give yourself the best chance of success. Featuring Claire Aguilar (Director of Programming and Policy, IDA) and Rahdi Taylor (Head of Artists in Residence, Concordia). Moderated by Lisa Hasko (Manager of Documentary Programs and Fiscal Sponsorship, Film Independent). Your Logo Here: Branded Content. Selling out? Or getting paid to do what you like to do? The possibilities for both short- and long-form projects are evolving with increased sponsor support. Filmmakers and ad creators discuss how these projects and deals come about, how content is influenced by both brand and customer, and the artistic potential within these constraints. Featuring Danielle Hinde (Owner/EP, Doomsday Entertainment), Folayo Lasaki (Marketing Director, SoulPancake) and Max Knies (Producer, City Beats with Santigold: Citizens Bank). Moderated by Kristin Sauchak (VP, The Outcast Agency). Shopping Your Project: A Financing Clinic. A group of Film Independent Producing Fellows present their projects to a panel of experts and receive advice on the potential pitfalls of their scripts, where to find the right support for their projects and how to leverage project elements into an attractive package for financiers and potential investors. The panelists’ specific feedback will provide useful packaging and financing tips for all. Featuring Rich Mento (Casting Director; Ashes in the Snow, Warm Bodies), Yolanda Ross (Producer, Scenes From a Marriage) and Delbert Whetter (Producer, Inside Track). Documentary: One Size Does Not Fit All. With screens becoming filled with endless storytelling formats, lengths and structures, the documentary landscape has never been more exciting. In this session we explore alternatives to the feature documentary with some of the filmmakers who are developing episodic, serialized content. How do stories function and teams work when scales shift? What makes a good subject for short form anthology vs. limited series? How are the development and exhibition paths for this work different than features? Featuring AJ Schnack (Director/Producer, The Earth Is Humming), David Wilson (Festival Director, True/False Film Fest) and others. Film Independent’s popular Coffee Talks return with a special producer edition, featuring some of today’s best-known indie producers discussing the rewards and tribulations of bringing exciting and challenging stories to the screen. Featuring Effie T. Brown (Producer; Dear White People, Real Women Have Curves), Jordan Horowitz (Producer; Fast Color, La La Land) and Heather Rae (Producer; Tallulah, Frozen River). Moderated by Peggy Rajski (Dean, School of Film & Television, LMU). Documentaries: Safety, Sanity and Security. Nothing is clear-cut when you’re tasked with capturing reality as it unfolds. On set and in the editing room, documentarians working with unpredictable subjects and situations are affected by various ethical, logistical and intellectual issues that impact their projects. Filmmakers and legal experts provide insight on maintaining a level head while working in physically and psychologically challenging conditions, handling clearances and rights and making quick decisions under difficult circumstances. Ben Berman (Director, Untitled Amazing Johnathan Documentary), Skye Borgman (Director, Abducted in Plain Sight), Melissa Haizlip (Director/Producer, Mr. Soul!) and Robert McFalls (Producer, The Advocates). Moderated by Lisa Callif (Partner, Donaldson & Callif). Sounds pretty cool, huh? Not to mention the Filmmaker Keynote, Industry Connect networking event, Ms. Purple Saturday night screening and an off-the-record networking lunch with your fellow filmmakers and other industry insiders. For a full schedule, click here. Podcasts, the next great source of Hollywood I.P.? In this candid, straightforward session, the filmmakers behind last year’s indie hit Searching, starring John Cho, give us an honest account of the film’s journey. They discuss the inception of their unique idea, through production, to its debut at Sundance and subsequent release as a bona fide $75 million worldwide hit. Featuring Aneesh Chagantry (Director; Searching), Sev Ohanian (Writer/Producer, Searching; Producer, Fruitvale Station) and Natalie Qasabian (Producer; Searching, All About Nina). In Short: Getting Past the Calling Card. Making a short film as a “calling card” can be a great opportunity for you to show a film festival audience your creativity and what stories you care about, but what happens after the screening? Our panel discusses how to push past the calling card stage, identify the key players that will help you take your film to the next level and position yourself for success once you’ve gained momentum. Featuring Minhal Baig (Writer/Director, Hala), Charlene deGuzman (Writer/Actor, Unlovable), Antonio D’Intino (Literary Manager, Circle of Confusion) and Missy Laney (Director of Development, Adult Swim). Distribution & Marketing Clinic: Dispelling the Festival Darling Myth. We’ve all heard the real-life fairy tale of the filmmaker who became an overnight sensation after a festival premiere, but these stories are extremely rare. For the rest of us, reality is far less Cinderella and more Frodo Baggins. Our panel of experts will explore what aspects of distribution and marketing still hold up and the new tools professional filmmakers should be seeking to be competitive in today’s market. This session will also feature on-the-spot advice given to select Film Independent Fellows about how best to position and launch their films in the marketplace. Featuring Seth Caplan (Producer, First Girl I Loved), Liz Manashil (Manager, Creative Distribution Initiative, Sundance Institute), Anam Syed (Head of Marketing, Alamo Drafthouse), Ashley Hasz (Manager of Film Marketing, Amazon Studios). Episodic Case Studies: Quarter Life Poetry and It’s Not About Jimmy Keene. Online digital short series used to be the entry point for many new content creators, but now they’ve evolved into a platform for established talent to tell refreshing new stories. This session takes an in-depth look at two new independently made episodics: Samantha Jayne’s Quarter Life Poetry, directed by Arturo Perez, Jr., which started life as an Instagram account; and It’s Not About Jimmy Keene, starring creator/director, Caleb Jaffe. Featuring Jim Frohna (Executive Producer, It’s Not About Jimmy Keene), Caleb Jaffe (Creator/Actor, It’s Not About Jimmy Keene), Samantha Jayne (Creator/Actor, Quarter Life Poetry), Diana Kunce (Executive Producer, It’s Not About Jimmy Keene) and Arturo Perez Jr. (Writer/Director, Quarter Life Poetry). Moderated by Wendy Calhoun (Co-Executive Producer, Empire). Sound and Vision: The Art of Music Videos. A spirited conversation on the past, present and future of the music video form and how it sparks innovative takes on narrative storytelling. Featuring Emily Kai Bock (Director; A Funeral For Lightning, Lorde: Yellow Flicker Beat), Daniel Kwan (Co-Writer/Co-Director; Swiss Army Man, DJ Snake & Lil Jon: Turn Down for What) and Hiro Murai (Director; Atlanta, Childish Gambino: This Is America). Moderated by Drea Clark (Panel Producer). Podcasts: Picturing Stories Through Sound. From Orson Welles’ iconic War of the Worlds broadcast to the present day, audio storytelling has provided a creative alternative to film & TV for artists to tell unique and vibrant stories. With far fewer barriers to entry than other traditional mediums and access to essentially every smart device in the Western world, podcasts—and their recent surge in popularity—have given audio fiction new life. 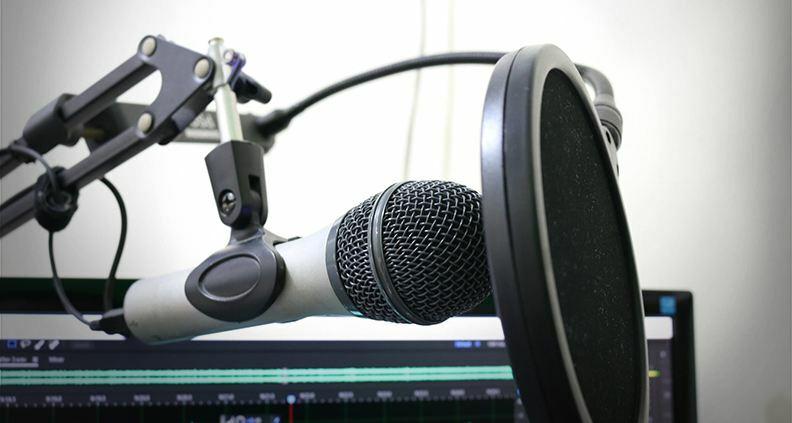 Podcast fiction can provide an accessible and exciting way to tell your stories, while allowing creators space to hone their skills and seek new avenues for their storytelling futures. Join industry leaders in the LA fiction podcast scene as they share their experiences in the hottest artistic medium this side of radio. Featuring Eli Barraza (Creator, The Far Meridian), Bikram Chatterji (Managing Director, Maximum Fun), Colleen Scriven (Creator/Actor, Lesser Gods) and Lauren Shippen (Creator, The Bright Sessions). Moderated by Mischa Stanton (The Whisperforge). Plus! Our Executive Keynote, Industry Connect, networking lunch, closing reception and more. For a full schedule of event including venue and showtime info, click here. There will also be an Opening Night premiere screening and Q&A to kick things off on Friday, April 26 at the Harmony Gold Preview House in Hollywood—not in Playa Vista—which will soon be announced, alongside keynote speakers and individual panelists. Like we said: get pumped, get ready and stay tuned! 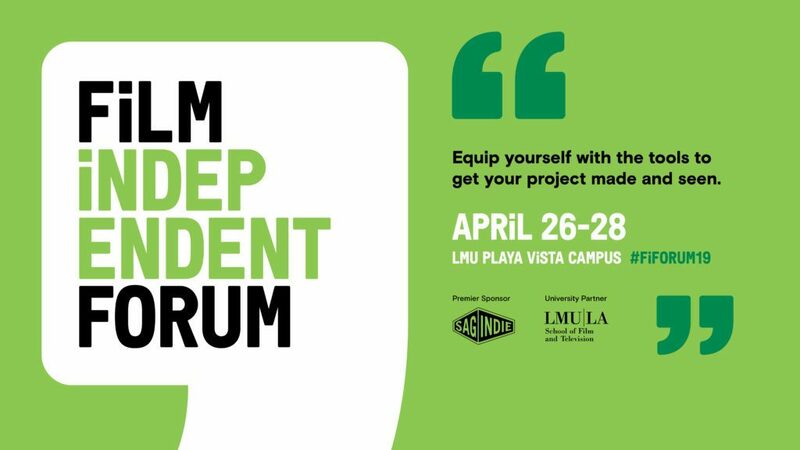 The 2019 Film Independent Forum takes place April 26-28 in the heart of Silicon Beach, at the new LMU Playa Vista campus. Passes are on sale now. Not a Member of Film Independent? Click here to join.